LAB5 : COUNTERS AND FREQUENCY DIVIDERS. 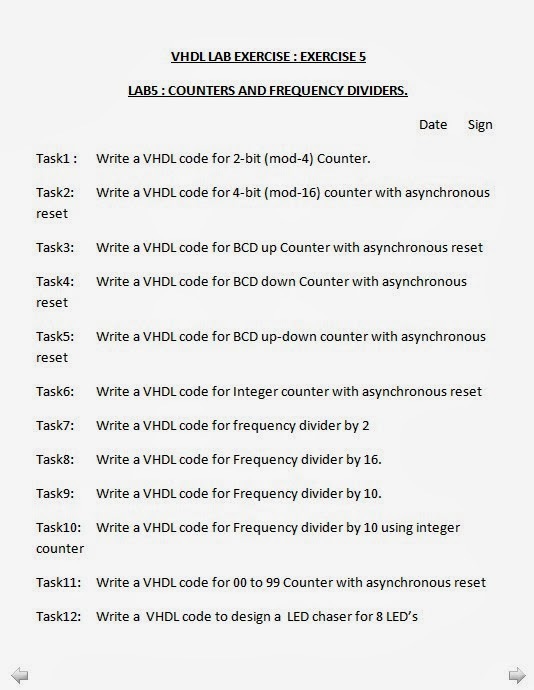 Lab Exercise 5 : VHDL with Naresh Singh Dobal Learning Series. Solutions for problems Counter Design. Solution for problems in Frequency Divider Design.